PARTNERING WITH THE RIGHT PROPERTY MANAGER IS CRUCIAL TO A POSITIVE RENTING EXPERIENCE. PLEASE TAKE A MOMENT TO READ WHAT CHR PROPERTY OWNERS ARE SAYING. "It has truly been a pleasure to deal the folks at Charleston Home Rentals. I was having trouble renting my unit until I was introduced to them, and since I have partnered with them, I have not had a problem keeping my town house rented. I would recommend them to my friends. It is well worth the money to have the piece of mind that they offer by keeping my unit rented and screening the renters before they put them into my town home." 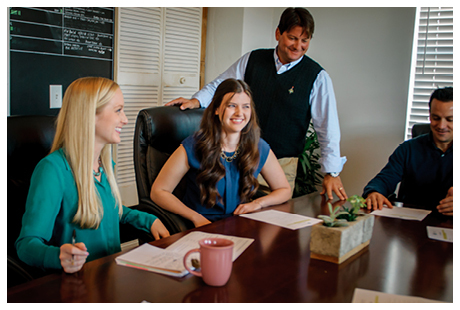 "The people at Charleston Home Rentals are as responsive as they come. As an out of state property owner, this is the most valuable of their services to our tenants. Whenever we have had any issue, regardless of day of the week or time of the day, they have responded to all requests and quickly addressed issues that have arose. We highly recommend Charleston Home Rentals." "I have nothing but great things to say about Charleston Home Rentals. They are on top of everything and great communicators. We live in Pennsylvania and it's a relief to know I have the company looking after our best interests, as well as our unit." "I travel overseas on business all the time and do not have the time or availability to watch over my investment properties. Thanks to Charleston Home Rentals I do not worry about my investments while I am abroad. They do a great job of communicating and keeping my properties occupied!" "I was impressed w/ Charleston Home Rentals' ability to quickly find a long-term tenant in a challenged rental market. They have a full service, hands-on approach towards property management, which is a relief since I live in Charlotte, NC and my rental unit is in Mt. Pleasant, SC." "Over years I have used a number of management companies to handle my properties. Charleston Home Rentals has been my agent since 2007. During that period they have given me virtually uninterrupted occupancy and top of the market revenue stream. They are very serious regarding screening tenants and holding them accountable to respectful use of my property. In using Charleston Home Rentals I enjoy the immeasurable value of peace of mind. Their standard of professionalism is, in my experience, remarkable and sets the bar for the rest of the industry. Last but not least; while their service is superior, their fees are very reasonable." "Charleston Home Rentals has managed two properties for me for about five years. They have always been responsive, efficient and very professional. I appreciate the job that they have done for me and would highly recommend them to anyone needing property management services." "We have had the great fortune of utilizing the services of Charleston Home Rentals for several years. Being out of town owners, we needed a company with a sound track record and high level of expertise – we are proud we chose Charleston Home Rentals." "It has been a pleasure working with Charleston Home Rentals on our three condos. You have done all you said you would do and more. Looking forward to working with you in the future." "I have received unparalleled service from the guys at Charleston Home Rentals. Every facet of every interaction has been nothing short of exceptional. If you choose another property manager you have made a significant mistake." "From a long way away, our property is worry-free for us. Charleston Home Rentals treats our property like their own home and that makes the difference. We appreciate their support and assistance on all items, large and small." "In my opinion, Charleston Home Rentals is a very professional, results-oriented company. It has been a pleasure to work with them for the past several years. They are very responsive and proactive. I feel confident in their abilities to handle all aspects of managing my property, from screening qualified tenants to creating easy transitions when itís time for new ones. They effectively market their properties and have extensive industry knowledge, which I have found invaluable. I highly recommend them to anyone looking for a quality property manager." "I cannot thank you enough for looking after our future part time retirement condo and allowing us to enjoy ownership while living 700 miles from the area. We are comfortable knowing that rentals and any matters that need attention will be handled by your fine group...its great to have you on our side in Charleston!" "Charleston Home Rentals has done an excellent job managing my property on James Island! They have managed my property for 4 years now and what a relief it is to know there is a company I can trust to take care of any maintenance issues as well as find tenants in a timely manner. I highly recommend them to anyone!" "Just want to take this time, not as a testimonial, but as a thank you note for the years of service I have received from your organization. Charleston Home Rentals has provided me the security and confidence that my property has been well taken care of and thoughtfully rented on a continuous basis. Being an absentee owner, it is comforting to know that my rentals have been maintained by your group. You have been courteous, comprehensive, and efficient in all our dealings. For this, I thank you and look forward to continuing our relationships as long as I have rental property in your area." "Our experience with Charleston Home Rentals has been nothing but positive. Their professional and conscientious service has made having our rental property stress-free and enjoyable as a passive income strategy. No other property management organization that we have dealt with in the Low Country even compares to the services offered by Charleston Home Rentals." "Charleston Home Rentals continues to exceed owner expectations with their consistent professionalism and thoroughness. I have used them now for 5 years and continue to be impressed with their attention to detail and anticipatory service."